The boron carbide powder is used for different applications due to its strength to weight ratio and low thermal conductivity. It is the hardest material produced in tonnage quantities. These include abrasives, armor, nuclear radiation protections, metallurgy and refractories. We offer Boron Carbide also has a low thermal conductivity (29-67 W/mK) and has electrical resistivity ranging from 0.1 - 10 ohm-cm. 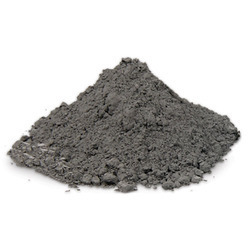 Boron Carbide Powder is mainly produced by reacting carbon with B2O3 in an electric arc furnace, through carbo thermal reduction or by gas phase reactions. For commercial use, B4C powders usually need to be milled and purified to remove metallic impurities.